With many courses to choose from, both online and classroom based, what’s the best import export course for 2019? Unfortunately, there’s no single answer for this and much will depend on what you’re looking to achieve, how much time you have and whether you prefer to learn online at your own pace, or with a teacher in a classroom. So here’s 12 points to consider as you start your endeavor to study import and export, which will help you get the maximum value for you and value for money. Anyone can produce an online course these days and it’s pretty big business. With the advent of sites like Udemy we can all now record videos share our knowledge and experience and create online courses. It’s a great way to both teach and learn but when it comes to what the best import export course is for you, you want to make sure that you’re enrolling in an import export professional course, gaining knowledge from someone who’s qualified to teach and has practical experience. Check the credentials of the tutor as well as their real-world business experience. What you don’t want is someone who’s read a couple of books and is then just translating that to an online course. They won’t understand the practical issues that you’re going to face and won’t be able to prepare you in any way for when things go wrong. Supply chain management is going to be the most fundamental part in any import export business so you must make sure that you’re taught this in a way that’s clear, concise and easy to understand. If you get this wrong, it’s going to impact your profit margins, add significantly to your stress levels and could very quickly force you into negative cash flow. Ultimately, the best way to be sure that an import export course has credibility is to check if it’s validated or accredited. Ask to see proof of this in something like this and make sure the course has it’s own qualification. The only constant in life and business is change. Business is constantly changing and therefore the best import export courses are those where the content is kept up to date and refreshed when needed. The import export process isn’t something that changes drastically but it does change. For example, Incoterms 2010 is soon to change, Incoterms 2020. Course content will need to be changed to reflect that when it does. The biggest issue on the international trade circuit right now is obviously Brexit and all the complications that the UK will have with trading internationally, if it’s to leave the European Union without a deal. Whatever the outcome, there could well be significant changes to how the UK will import and export goods and this would need to be updated in any course material when the time comes. The best import export courses are up-to-date and kept refreshed with new content when it’s needed. Admittedly, import export procedure may not be the most exciting study you’ll ever do but if it’s a sector that you’re breaking into, you’re going to need to know and understand the material. How do you like to learn? Do you prefer to read, watch videos or a classroom environment? Many of us today, prefer online learning as we can focus our studies when it suits us. There’s no need to be in a certain place, at a certain time, we can study an hour per night once the kids are asleep or over the weekend. Distance learning is convenient. If you like to read, that’s great but I’m sure you don’t want to waste your time reading pages and pages of information that you’re never really going to use in the practical day-to-day running of your business or job role. None of us have any time to waste in today’s fast moving world. 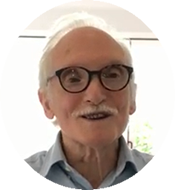 Watching videos is certainly one of the most popular ways to learn but will you find it particularly engaging listening to your tutor standing in front of a whiteboard for hours on end, perhaps going through subject content that you’ll never use. Hopefully you won’t fall asleep. The art of presenting is a skill on its own, one that many of us don’t naturally have. Pointing a camera at someone while they are presenting to a classroom, or an empty room, isn’t always engaging viewing. The best import export courses taught by video tend to be well scripted, on point and keep to the subject matter. There’s several international trade courses online so it’s worth comparing them and seeing which suits your individual needs. What’s your preferred study method? Online learning for others doesn’t motivate and prefer the face to face of a tutor in a classroom. There’s many classroom import export courses available so in this case, firstly, choose one that suits your schedule. The other points in this blog are still going to be relevant. These classrooms allow you to have more interaction with the tutor, answer questions as they arise but there will be other students so you won’t find much one-to-one support. It’s important to find out how long will your export training classes will take you to complete. I’ve seen courses that will take anywhere from a week, up to two years. Make sure the international trade classes that you choose suits your timescale. If you need to be up and running in 4 weeks, it will obviously be of no benefit to you to enrol in a course that’s going to take you 6 months to complete. Make sure you can cover the content in the time that you need to gain the knowledge and put that knowledge to work for you. Some websites like the International Career Institute offer a wide variety of online courses from life coaching, to floristry, to nursing to import export. There’s nothing wrong with these sites and I’m certainly not here to discredit them, I’ve also never enrolled in any of their courses so am not speaking with any first hand experience, purely my opinion. With so many courses available, my question is, are they able specialise in each subject as there is such a vast array of courses? By enrolling in an online course, are you just a number on a conveyor belt of students, not actually taking the time to get to know you and your business or career goals? Will the knowledge you gain be transferable to the real-world and have you prepared, proactively and will you be ready to deal with issues when you face them? These are points to think about, as a mistake in the transfer of your knowledge to your actual business will cost you time, money and stress. What’s the reason you’re looking for the best import export course? 1. To setup and establish an international business. This could be a brand new startup where you want to import products from around the world and sell, or perhaps you plan to export your products to a global market and need to setup operations. 2. To gain employment and land the perfect job in international trade, perhaps as an import export clerk, working for a freight forwarding company, as an import export agent or advancing your international career and professional development. Consider if the course you’re looking at is relevant for your individual purpose. Many export import training courses are geared towards established businesses looking to export their products worldwide and don’t cater as well for start-ups and don’t touch on the content needed for those looking to land the perfect job. Spend some time researching if it’s export import business training that you need, that it will suit your business or career needs. Value for money is of course one of the most important points to consider with the various import export training programs available to you. Many import export courses are structured on tier levels. Subjects are broken up into separate courses and you’ll find you have to pay for each course. The disadvantage to this is that you’ll find yourself spending more as you’re going to need to know import export procedure with a complete knowledge. It’s really no good learning what UCP 600 is but not understanding what a letter of credit is. Compare and calculate the cost of the entire course and plan on that as the course cost. You’re going to need all parts of the course, not just the parts you may think you’re going to need. If you have good knowledge and are already experienced in international trade, then you may just need a certain segment but there’s nothing wrong with refreshing your general knowledge. Courses on average can cost anywhere from £200, right up to £2,000. A higher price doesn’t always not mean you’re getting more for your money. Check the course syllabus and material included. Governments want to promote domestic industry. Exports are good for a country’s economy and there’s lots of help available to businesses for this and much of it is free. This is certainly something that an established business can and should take full advantage of and is an excellent way to get help in taking a business international and there are many success stories with this approach. The problem that I’ve seen with government run import export courses is that they’re taught by tutors that have certainly earned their import export degree but tend to lack practical, commercial experience, which really is so important. Unless you’ve actually been in business, know and understand the issues that’ll arise it’s difficult to teach how to handle these issues and to be proactive in order to avoid them in the first place. These tutors are qualified and I’m certainly not suggesting they shouldn’t be teaching, however it’s wise to make sure that your tutor has that commercial experience, not just the “correct” import export qualifications, which was then taken straight to teaching. The best import export courses really are those that have been developed by those who understand how you have to operate on tight profit margins, where the risks lie shipping your goods and how to minimise these risks. The best courses for import and export include a high level of support, which ideally will be one-to-one support so that your individual needs can be met. Understanding the course content is vital but if your course tutor can offer advice and support on your career or business goals, this is a huge benefit. Whether that’s how to find and land the perfect job in logistics, taking your idea from just that, an idea to a start-up business or taking an established business to the international stage, having a tutor to help and advise you is invaluable. The issue with many courses, like those on Udemy, is that you don’t get much contact with the tutor. We all hate tests and exams but the reality is, unless we sit them, how do we know we’ve understood the course content? All import export courses should include a final exam, which should be graded by your tutor and then any questions that weren’t understood correctly, revised and explained. Without this, there’s a risk that you’ll go into your business dealings or new job, thinking you’ve understood how to carry out a certain task or procedure when in fact you haven’t and that could cost you. If there’s no exam and one-to-one revision, it may not be worth the fee. Testimonials as we all know are a great way to see what the experience has been of previous students. Unfortunately these days, you have to look a little closely as it’s relatively easy to fake testimonials but you can generally gauge which tend to be legitimate and which have been paid for. Either way, it’s worth spending a few minutes reviewing these to get a good perspective of the quality and then be able to compare the various international trade training programs available. If the purpose of your import export course is to land your perfect logistics job, getting some help with your CV is always a good thing. Having your tutor look over your CV and check for spelling and grammatical errors is wise (it’s more common than you might think!). Also, adapting it for the specific job you’re applying for and making sure it’s not long winded are things you need to check for. For more advice on writing your CV and interview skills, see our blog. There’s many good export training courses available, online and classroom based but the as to which is the “best” one depends on your needs. Spending a little time researching and asking a few relevant questions and using a method or two as I’ve suggested here will help finding the best import export course for you with effective export learning. Please feel free to contact me with any questions or leave a comment below. As I mentioned in my opening paragraph, I run an online course which, obviously I think is the best import export course . Below are a few of the reasons why. Go here to check out all the features and benefits. 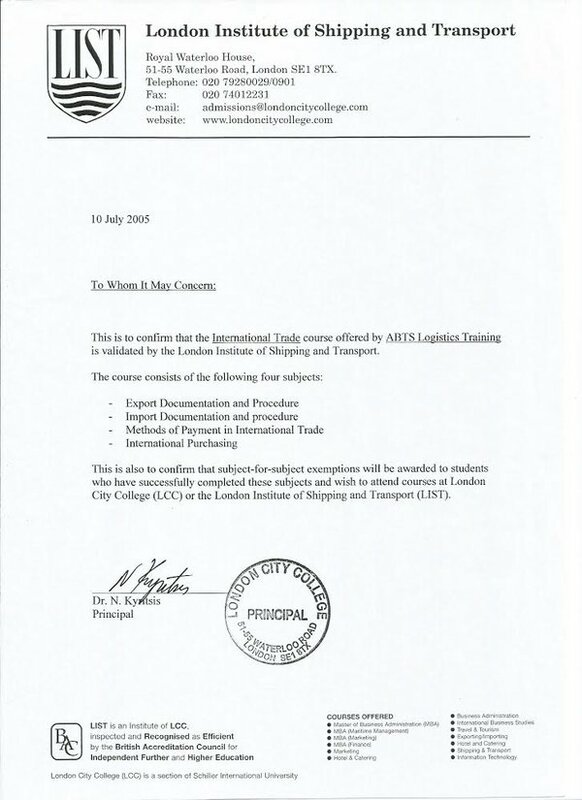 Our online international trade course has been validated by The London Institute of Shipping and Transport since 2005, giving our students the confidence in the practical, hands-on way we teach you have to import and export. Our course is streamlined, excluding any logistics theory, getting to the point and showing you what you’ll need to know and understand in order to move your goods from source to destination. We do this with a series of entertaining animated videos, opposed to asking you to read pages and pages of text, or listen to a teach at a whiteboard for hours. We’ve trained hundreds of students and helped further their careers as well as helped setup countless successful businesses, with many of our students now their own boss running their own successful companies. With over 30 years of experience, we’re here to offer you one-to-one support and bring your career or business to the next level. ABTS Training was also awarded BEST TRADE EDUCATION PROVIDER 2017 by Trade Finance Global, a great honour to receive the award which recognises the high level of course presentation and content we deliever.